This feature was originally published on May 3, 2016. What do "Star Wars," NASA's Dawn spacecraft and Newton's Laws of Motion have in common? An educational lesson that turns science fiction into science fact using spreadsheets – a powerful tool for developing the scientific models addressed in the Next Generation Science Standards. Celebrate Star Wars Day with these standards-aligned lessons in motion and forces for grades K-12. The TIE (Twin Ion Engine) fighter is a staple of the "Star Wars" universe. Darth Vader flew one in "A New Hope." 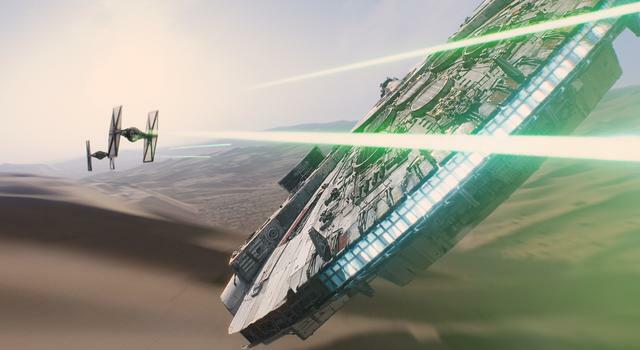 Poe Dameron piloted one in "The Force Awakens." And many, many Imperial pilots met their fates in them. While the fictional TIE fighters in "Star Wars" flew a long time ago in a galaxy far, far away, ion engines are a reality in this galaxy today – and have a unique connection to NASA’s Jet Propulsion Laboratory. Launched in 1998, the first spacecraft to use an ion engine was Deep Space 1, which flew by asteroid 9969 Braille and comet Borrelly. 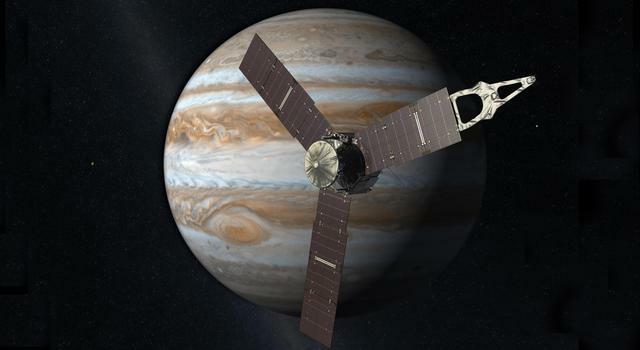 Fueled by the success of Deep Space 1, engineers at JPL set forth to develop the next spacecraft that would use ion propulsion. 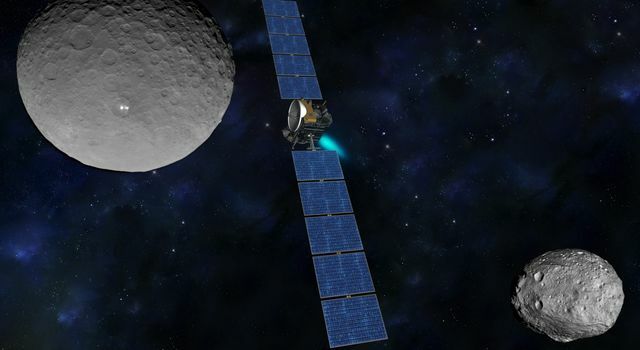 This mission, called Dawn, would take ion-powered spacecraft to the next level by allowing Dawn to go into orbit twice – around the two largest objects in the asteroid belt: Vesta and Ceres. Ion engines rely on two principles that Isaac Newton first described in 1687. First, a positively charged atom (ion) is pushed out of the engine at a high velocity. Newton’s Third Law of Motion states that for every action there is an equal and opposite reaction, so then a small force pushes back on the spacecraft in the opposite direction – forward! According to Newton’s Second Law of Motion, there is a relationship between the force (F) exerted on an object, its mass (m) and its acceleration (a). The equation F=ma describes that relationship, and tells us that the small force applied to the spacecraft by the exiting atom provides a small amount of acceleration to the spacecraft. Push enough atoms out, and you'll get enough acceleration to really speed things up. Cheaper: When it comes to fuel efficiency, ion engines can reach more than 90 percent fuel efficiency, while chemical rockets are only about 35 percent efficient. Safer: Ion thrusters are fueled by inert gases. Most of them use xenon, which is a non-toxic, chemically inert (no risk of exploding), odorless, tasteless and colorless gas. These properties make ion propulsion a very attractive solution when engineers are designing spacecraft. While not every spacecraft can use ion propulsion – some need greater rates of acceleration than ion propulsion can provide – the number and types of missions using these efficient engines is growing. 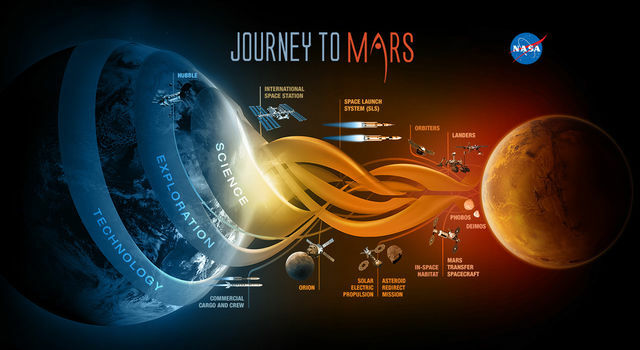 In addition to being used on the Dawn spacecraft and communication satellites orbiting Earth, ion propulsion could be used to boost the International Space Station into higher orbits and will likely be a part of many future missions exploring our own solar system. Newton’s Laws of Motion are an important part of middle and high school physical science and are addressed specifically by the Next Generation Science Standards as well as Common Core Math standards. The lesson "Ion Propulsion: Using Spreadsheets to Model Additive Velocity" lets students study the relationship between force, mass and acceleration as described by Newton's Second Law as they develop spreadsheet models that apply those principles to real-world situations. Students develop spreadsheet models that describe the relationship between the mass of a spacecraft, the force acting on the craft, and its acceleration. HS-PS2-1: Analyze data to support the claim that Newton’s second law of motion describes the mathematical relationship among the net force on a macroscopic object, its mass, and its acceleration. HS-PS2-1: Use mathematical representations to support the claim that the total momentum of a system of objects is conserved when there is no net force on the system. Grade 8: Expressions and Equations A.4: Perform operations with numbers expressed in scientific notation, including problems where both decimal and scientific notation are used. Use scientific notation and choose units of appropriate size for measurements of very large or very small quantities (e.g., use millimeters per year for seafloor spreading). Interpret scientific notation that has been generated by technology. High School: Algebra CED.A.4: Rearrange formulas to highlight a quantity of interest, using the same reasoning as in solving equations. High School: Functions LE.A: Construct and compare linear, quadratic, and exponential models and solve problems. High School: Functions BF.A.1: Write a function that describes a relationship between two quantities. High School: Number and Quantity Q.A.1: Use units as a way to understand problems and to guide the solution of multi-step problems; choose and interpret units consistently in formulas; choose and interpret the scale and the origin in graphs and data displays."